Microsoft, for many, is the go-to software provider for businesses large and small. Their applications and services, from Office 365 to Skype for Business, allow communication across multiple devices such as smart phones, tablets and PCs. By integrating these tools with your video conferencing estate, your business will have a much more powerful and cost effective way to collaborate and manage the workflow. So make sure you consider all the options when taking the next step. How will it make your workplace a better place? Combining traditional video conferencing elements with scheduling and messaging allows a business to collaborate in real-time and on any scale, whether it’s a quick one-to-one video meeting or a geographically dispersed research team brought together to share and discuss data. Integration will reduce your hardware, software and IT staff costs but, most importantly, the cost of your people’s time. The majority of employees now regard this simple and flexible means of collaboration and scheduling as a given. Working smarter and more efficiently improves everything from speeding up the decision making process to employee morale. It has long been a myth that the initial outlay and investment might be too great or that it will take too long to implement and to be adopted. But, in fact, now is a better time than ever to take the first step. Many find that the savings in time wasted along with less need for travel see the solutions pay for themselves within months. What’s more, this level of integration provides a familiar experience and user interface across the board that employees are accustomed to, making application and training far less time consuming. This type of integration isn’t just about PCs laptops and meeting rooms. The sky is the limit with how you can transform your organisation. If you have remote workers or field based employees there are cloud-based conferencing tools such as SightLink that allow collaboration wherever someone is based. If you have a shortage of main meeting rooms and an unused office space, you can turn this into a huddle area for ad hoc meetings. All of these solutions can be integrated to work harmoniously and in tandem with Microsoft. While the finished experience is designed to be as simple as possible, make sure that you talk to the right people to make your collaborative goals a reality. It’s important to know exactly what are the options available to you and to have a specialist guide you through the process and install the right solution that will make all the difference. With a number of manufacturers such as Polycom working hand-in-hand with Microsoft to create solutions for any scale, the business tools you need are all there, ready and available. Internet Videocommunications is a trusted partner to all the leading manufactures and has unrivalled experience of deploying the best of breed products and services to cater for any need. With vast expertise in this field, Internet Videocommunications’ consultants will walk you through the considerations in order to bring your collaborative ideals to life. 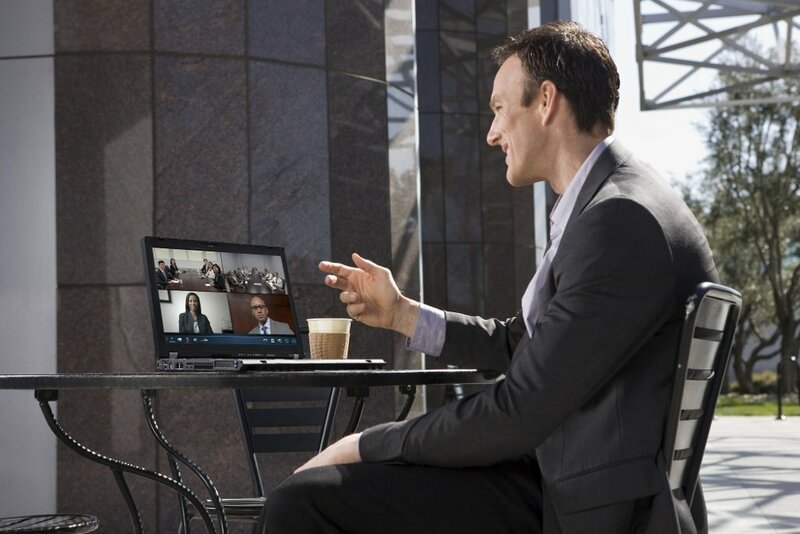 Whether integrating Office 365 in your meeting rooms or deploying Skype for Business across disparate video conferencing estates, Internet Videocommunications is uniquely placed to bring your vision to life on a macro scale. Thinking of moving to Microsoft teams?